BHOLDER™ is a game-changing, cruelty-free Dual-Action Complexion Applicator brush with a special grip design that’s ideal for applying your favorite liquid foundation, powder or face cream for natural, even coverage. Beauty is in the eye of the BHOLDER™ and this revolutionary, Dual-Action Complexion Applicator is the secret weapon to flawlessly applying your favorite liquid, cream and powder complexion products for a beautiful, seamless finish that’s long-lasting. Essential to any makeup brush set, this must-have makeup and skincare applicator features an incredible design for ease and precision. BHOLDER is densely packed with pillowy soft, cruelty-free, synthetic bristles for better blending, and features a unique, smooth silicone center that holds product in place and builds a natural, full coverage look. Apply your favorite liquid foundation, cream, concealer or face powder with ease… the large grip handle gives you total control. The result is a strikingly gorgeous, airbrushed look that you will love! Liquid: Apply liquid foundation directly to the silicone center. Gently dab product around the face, focusing on problem areas. Use light pressure to blend product across the face until you achieve a desired look. Cream: Apply cream contour, concealer or foundation to the face. Use light pressure to blend product across the face until you achieve a desired look. Use the silicone center to build product, if necessary. Powder: Use the soft, densely packed bristles to swirl powder. Tap away excess, then buff powder onto the face using light pressure. 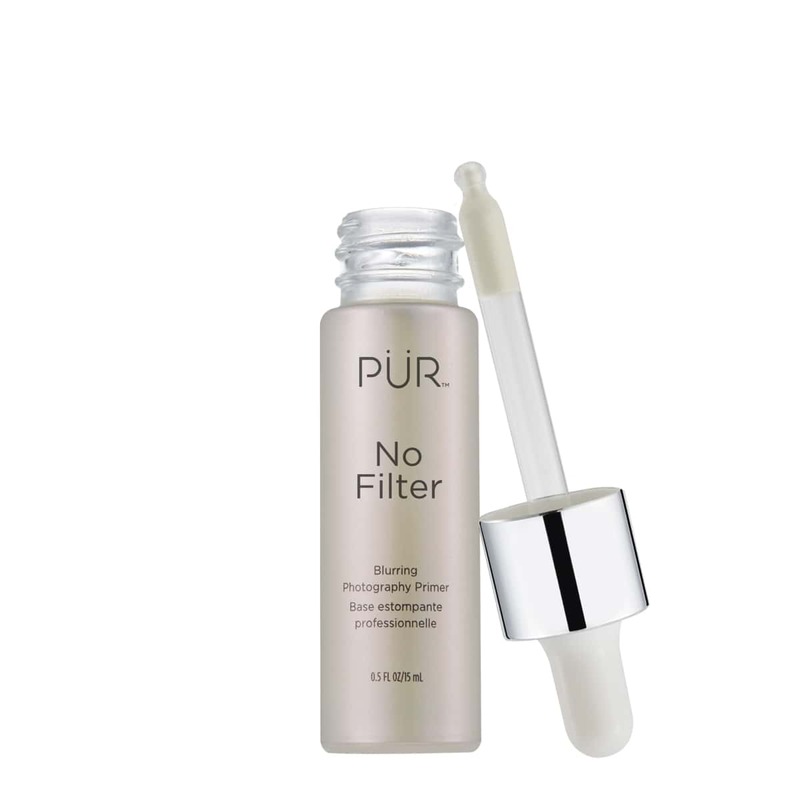 Use No Filter Blurring Photography Primer as a liquid highlight by applying it directly to the silicone center of BHOLDER™. Sweep onto the highpoints of the face, including the top of the cheekbones, the bridge of the nose and the cupid’s bow for an instant boost of radiance and a healthy, glowing appearance. This applied my 4-in-1 Love Your Selfie foundation so well, and I love the unique applicator with the silicone in the middle. It's like a sponge and brush have met in perfect harmony! *I am an employee of PUR, however, all opinions are my own. Both wearing Love Your Selfie Foundation & Concealer applied with BHOLDER! At first I thought this dual action brush was going to be strange ! But I loved it! Great for any type of foundation! When they say dual action... it really is dual action! I really honestly wanted to love this brush. I just couldn't though! I feel so bad, but I really didn't like the silicone piece in the middle. I felt that it make it difficult to blend the foundation out and made it patchy. It also made it difficult to apply the foundation if you applied the product directly to the brush then applied it. I just want a big fan of it. I like the brush itself and it is a neat concept but I'm unsure of how I feel about the silicone piece in the middle. It makes it a little difficult to put product on the face and blend evenly. But I do like the bristles of the brush and over all it works nicely. This was a great brush to use foundation, it makes application especially easy with the rubber applicator in the middle. I prefer to use with foundation over a pressed powder- it was hard to work around the rubber part in the middle for my pressed powder. Would highly recommend, made blending foundation a cinch and turned out pretty smooth. I thought this brush was very unique looking because of the silicone dome in the center of the brush. I wasn't sure how well it would blend out because of the huge absence of bristles but it blended my cream foundation so effortlessly and smoothly. It left very little bristle strokes with the exception of my nose area which is somewhat expected. Clean up was easy and the handle size is perfect for my small hands. I can see this being my new favorite foundation brush. First time using a brush as an applicator for foundation and I like it! I usually use a beauty blender to apply my foundation so I thought this would require some practice. The first day I used the Bholder applicator, the foundation went on smoothly and effortlessly. There was no streaking or areas where it applied to thick. I really enjoyed using it and will continue to do so. The only area where I need to watch a little more carefully how I apply it is around my nose. I just have to remember to be a little bit more gentle there and tilt the brush a little more. This dual action applicator brush was fun to use, but I didn't find anything magical about using it to make the foundation look special. Any foundation brush would do the same job and look very nice. It feels amazing on the skin and left my looking looking like i had a filter!! At first, I wasn't sure about the Bholder, but it is actually amazing! My foundation went on beautifully. I definitely feel like more foundation ended up in my face than in the brush & that makes me happy!! 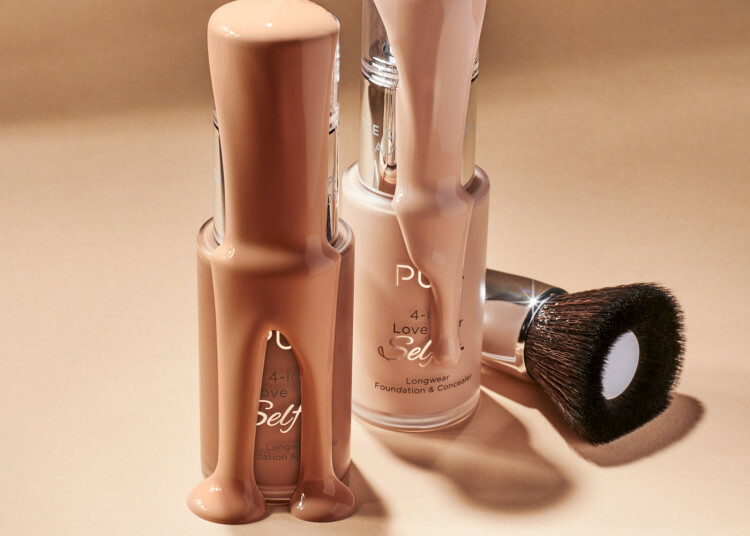 Blends your foundation flawlessly, it's like magic. I was skeptical about how this brush would apply my foundation, but it proved me wrong! It applies my foundation so flawlessly. I was concerned that the silicon in the middle of the brush would tug at my skin and make my foundation look uneven but it does the opposite. It's very gentle and distributes the foundation nicely. The bristles buff out the foundation nice and evenly without it looking streaky. I love that since there is a silicon application in the middle a little foundation goes a long way as it's not getting sucked into the bristles of the brush. Also you dont have to work hard at blending it as I've have in the past with other products. Putting on my foundation with this brush is super easy and fast. This is my new go to foundation brush. I wasn't a huge fan of this brush, the hole in the center was so deep and the top surface of the bristles were so fanned out, I felt as if it was really awkward and difficult to buff out my foundation. The bristles weren't as soft as I was expecting, and I felt like you would waste a lot of Foundation if you were to place it into the middle of the brush and buff it out from there as it would all get pushed deeper inside the bristles. Maybe with some practice I will get the hang of it, but I ended up switching to a basic buffing brush very quickly. I was hesitant to see how this brush would work since I have never used a brush that had a silicone piece in the middle of the bristles, but I was pleasantly surprised! I tried using the brush like the instructions (apply foundation on the silicone and then apply to face), but I think I'll stick with dipping small amounts of foundation on the brush at a time. It really did blend well however I thought the bristles could be a lot softer. My skin is a little bit on the sensitive side so I prefer to use "fluffier" brushes. Initially this brush looked like it would not be easy to use, but I'm so glad I gave it a try! It was so easy to apply makeup with and worked perfectly! I love this brush! It's doesnt waste products and it blends out the product seamlessly. I will definitely be incorporating this applicator to my everyday routine. It was interesting to get use to, but it does leave a nice air brushed look, but its a bit harder to build with. Maybe with more practice I can get use to it, but its a nice brush, soft bristles. I love the idea of the brush being able to hold the foundation but I felt that it was easier for me to apply the foundation on my face and then blend it out. The brush was very soft and easy to use but I would love it more if it was a full head brush. This is the only foundation brush like this I've seen! It's great! I love that I can put the foundation right in the middle of the brush, on the silicone part. The brush gave me a great application. My makeup appeared smooth and well blended. I will be using this often!! This brush is way different than any face brush I've ever used, and I love it. It blend my foundation very well and also has a silicon piece in the middle to help blend the foundation and to prevent the brush from absorbing any extra foundation. I'm so happy a brush like this is now here in the makeup world! The BHOLDER Dual-Action Complexion Applicator was difficult for me to blend my foundation with. The bristles are a bit too hard for me. There's a little circular ball in the middle of the brush/bristles that is of silicone material. I'm not good using beauty tools of silicone. I feel my skin drags on with it. I have chubby cheeks and my skin tends to be on the dry side in that area so maybe that's why. I also felt that the foundation didn't spread evenly. I would recommend this brush if you are comfortable using silicone applicators. This particular one has a harder feel. The bristles are also harder than I prefer. I was able to quickly apply my foundation with this brush. No lines or streaks and easy to apply additional coats for more coverage. I love it! The brush feels so soft and blends foundation very well. When I first saw this brush, I thought ���no way is this going to work�۝, but I was actually surprised when I put it to the test with my foundation. I'm still a bit unsure of the brush since it takes a bit of getting used to, although, it blended out my foundation GORGEOUSLY. It's a very nice brush, but a bit large for getting around the temples. This brush is seriously genius! The design is so unique and thats what the beauty industry needs these days! I love that it is cruelty free and the handle is the perfect size and shape. This brush is excellent quality and I love how unique the silicone interior is. Putting a pump of foundation right onto that piece is so easy and waste free, BUT I love this brush to apply pressed powders better! It perfectly dispenses the right amount of powder and it all blends in so seamlessly. I am impressed and I am so happy to have this fabulous brush in my rotation!! Im more of a sponge gal myself when it comes to foundation, but I liked using this brush in a stippling motion! Worked well with their new 4in1 foundation/concealer. I love the concept of this brush, but I have to use more product to be able for it to blend, the brush fibers kind of soak up some of the product as well. Every beauty guru needs this brush! I love that it doesn't shed, and i can use it instead of a sponge. I would much rather use the finger to apply my foundation but thought I would give this applicator a try. You put the foundation on a rubber circle in the middle of the brush then dot it on your face to apply. I found this to be awkward and would rather use my finger. You then use the brush to spread your foundation onto your skin. If you pushed to hard, you would be pressing that rubber circle into your skin. The brush would soft and useful but I couldn't get past that piece in the middle. I found it useless and frustrating but I did like the brush and they way it applied my foundation. This brush is great! It has deep dense bristles and helps apply your Foundation smoothly and evenly. It can be used as stippling brush to apply concealer and used as a buffer brush to apply Foundation all over. The brush is very soft and has a nice gripping handle. The brush washed well and the bristles held well and did not fall out. A very nice overall brush. A must have! 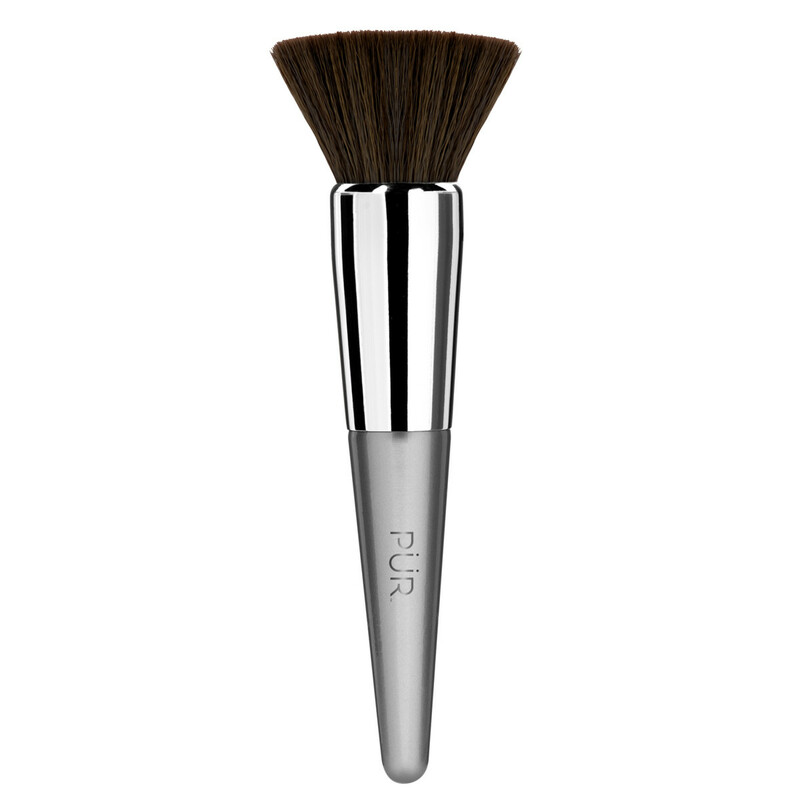 The brush has nice, soft bristles that was able to apply and blend the product well. The only dislike was the center of the brush where you put the foundation. I didn;t think it was any easier to apply the product vs. using my fingers to dab it on. Overall, it is a pretty good brush. I really had a hard time with this brush. I feel like the silicone part in the middle didn't really do anything. The product applied streaky with it as well. I prefer a beauty sponge over this brush. Where has this applicator been all of my life? Works so much better that sponges or other applicators! 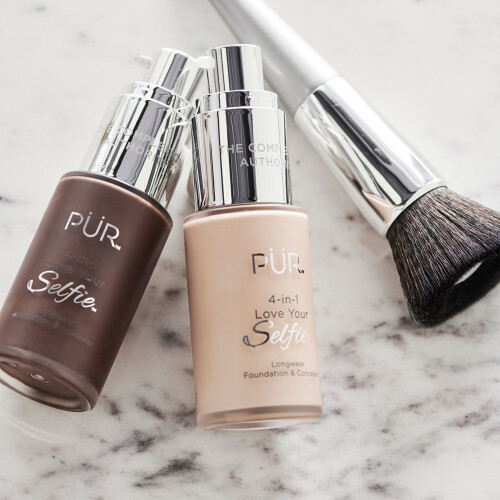 Cuts makeup routine significantly and applies my PUR foundation flawlessly and effortlessly. Simply add one pump to the silicone center, dot onto face and blend. That's it! No fuss and no mess. Blends beautifully without crease buildup. LOVE IT! !